From left, Immokalee Board Liaison Dorothy Scheffler, Big Cypress Board Representative Joe Frank, Chairman James E. Billie (who serves as Vice Chairman of the Board of Directors), President Tony Sanchez Jr., Brighton Board Representative Larry Howard and Hollywood Board Representative Steve Osceola. In the early 1950’s, the federal government decided to act upon a policy of terminating American Indian Tribes and assimilating Tribal members into the mainstream U.S. population. This disturbed the Seminole people. Several Tribal members went to Washington DC, and met with federal officials. The Tribe was not ready to release the government from its obligation of services to the people. The Tribe asked the federal government for ten more years to develop an economic base for greater self-sufficiency. The Indian Reorganization Act, allowed Indian Tribes to govern themselves as federal corporations. A corporate charter was prepared. The majority of the Tribal members living on the reservation approved the charter, thus, the Seminole Tribe of Florida, Inc. was officially formed. Each Tribal member shares equally in the ownership of the Tribal corporation. 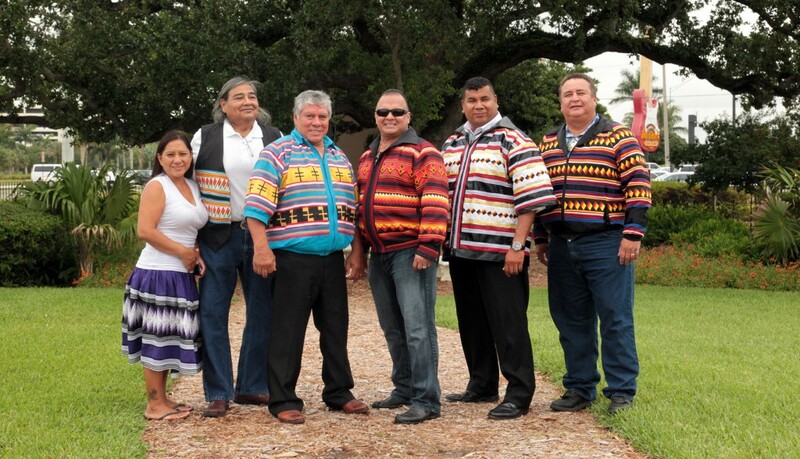 The Board of Directors of the Seminole Tribe of Florida, Inc., consists of a President; Vice President; Directors from Brighton, Big Cypress, Hollywood, and Immokalee (non-voting). The President is the Vice Chairman of the Council and the Chairman of the Council is the Vice President of the Board. Liaisons represent Tribal members from Tampa, Tamiami Trial, Naples, and Fort Pierce. Over the years, the Seminole Tribe of Florida, Inc., has progressed economically. The Board of Directors has established many programs and projects for the economic betterment of its Tribal members. The Board continues to expand it’s business enterprises. In 2003, two (2) convenience stores with gas sales were opened and a retail gift shop. The Board is considering new projects in the near future including a cattle feed lot operation, additional C-Stores and tobacco shops, an E-Commerce web-site, cattle program expansion and real estate and development. Find out more information about the Seminole Tribe of Florida, Inc.